It may be the first day of spring, but it clearly doesn’t feel like it in Frederick County! 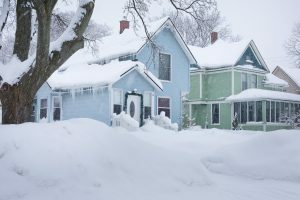 With up to 12 inches of snow expected in parts of Maryland, there’s a possibility that too much snow could settle on your roof and cause plumbing problems. 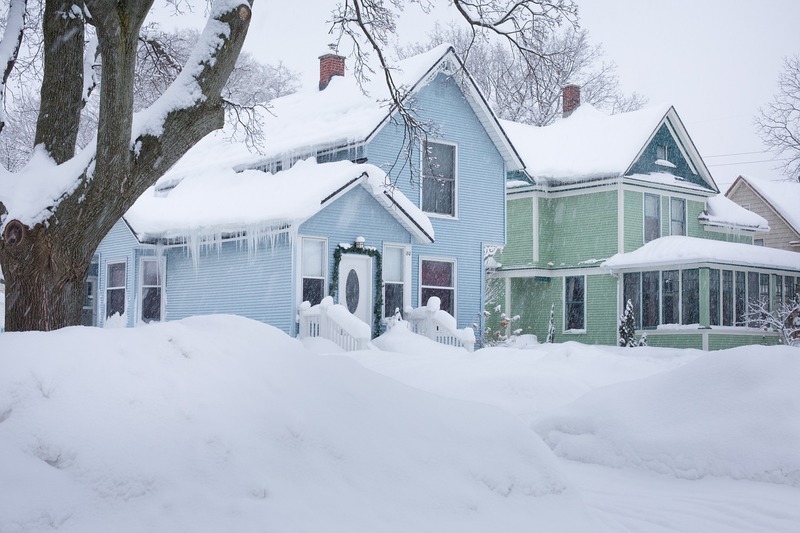 How can snow on the roof cause plumbing problems? Your sewer releases gases through a vent stack located on your roof. After a really heavy snow, that vent can become blocked and prevent air pressure from regulating your system. Smelly, potentially dangerous gases can back up into your living space if the problem isn’t addressed quickly. Gurgling in drains. You may hear gurgling or see water bubbling up and out of drains. You may even hear gurgling in your toilet after you flush. This happens because air that should be flowing up and out of the sewer vent has nowhere to escape but through the drains. If your sewer vent is blocked, you may even hear gurgling in drains other than the one you’re using. For example, if you flush a toilet, you may hear gurgling in the tub. This indicates that these two plumbing fixtures share a vent-and it is blocked. In some cases, gurgling noises indicate that there is no vent for that drain or fixture. Slow Drains. A single slow drain may just mean the drain or pipe is clogged, but if all of the drains in your home are slow and you’re also noticing the other issues we’re describing, blocked sewer vents are very possible. Sewage Odors. If you smell rotten eggs coming from your drains and toilets, you’re probably smelling air escaping through the drains due to blocked sewer vents. You may even experience headache, nausea, dizziness and drowsiness due to these gases. Of course the best solution is to clear snow away from the vent and melt any snow that has made its way into the vent, but that may not be possible right away during a snow like we’re expecting. An immediate way to prevent gases from entering your living space is to add water to basement floor drains, empty shower stalls and unused basement toilets. This helps because a blocked vent stack causes water to siphon from water traps in the drain line between each fixture and the main stack. As water is pulled from the traps to replace existing water/air flow, it will allow sewer gases to enter the home. More water in the traps prevents that gas from entering. To prevent this problem from happening again, your trusted Middletown plumber can replace your vent pipe with a longer one so it’s less likely to become blocked. Hopefully this will be the last winter storm in Frederick County. If you have plumbing problems now or any time this spring, give us a call.